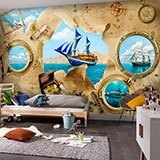 Wall mural Sailing adventures. 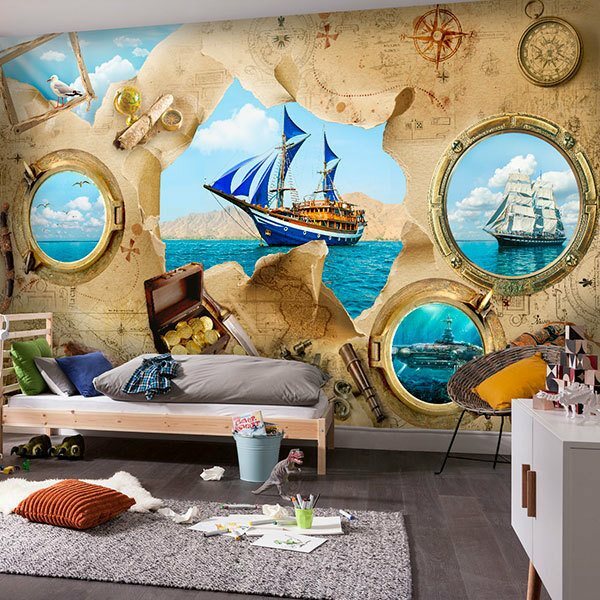 Very attractive composition with a multitude of marine details. The bottom is a map that is broken and through its holes you can see a big boat. 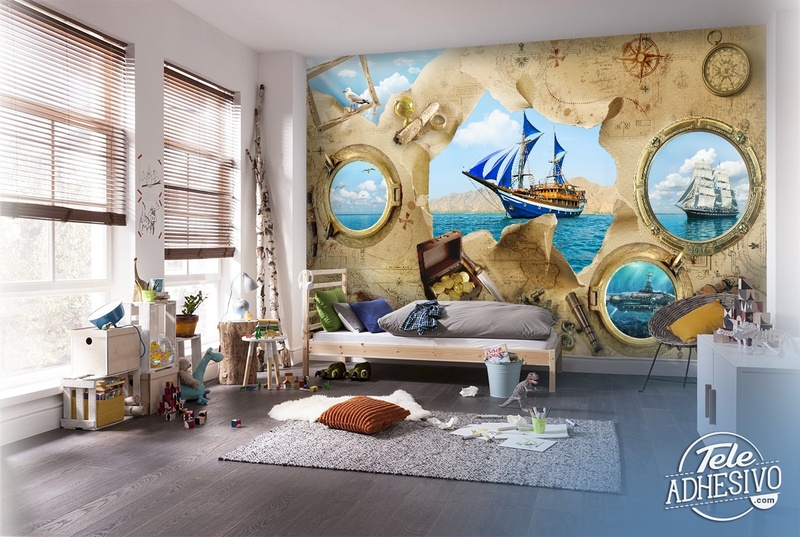 There are also 3 windows where you can see the sea. 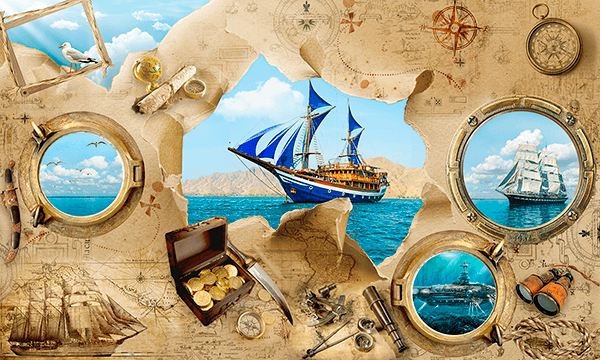 There are other types of marine utensils such as a compass, more maps, a spyglass or a chest.